There's Gold in them there geese! Well, apparently chickens don't have a monopoly on gold nuggets, at least according to this 1903 Lewiston newspaper article. 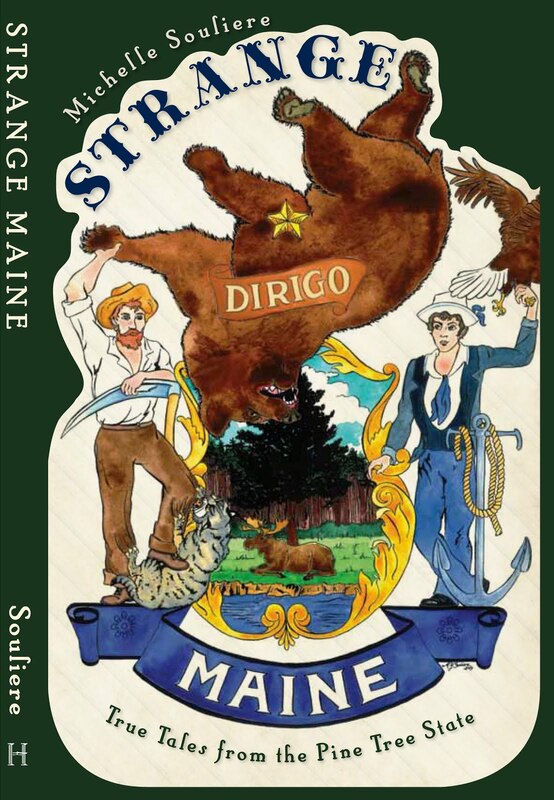 "Has anyone heard anything about the old railroad round house on Presumpscot Street in Portland? Someone told me the other day that it was supposed to be haunted by an engineer that got crushed working on a train. Worked in that building for almost 4 years all hours of day and night and on weekends. Never heard anything except pipes clanging. [...] of course, it can't be checked now because it's the DMV office for Portland. Why do we find these things too late?" 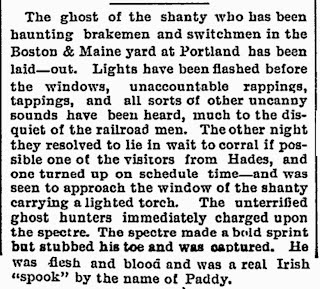 The ghost of the shanty who has been haunting brakemen and switchmen in the Boston & Maine yard at Portland has been laid-out. Lights have been flashed before the windows, unaccountable rappings, tappings, and all sorts of other uncanny sounds have been heard, much to the disquiet of the railroad men. The other night they resolved to lie in wait to corral if possible one of the visitors from Hades, and one turned up on schedule time -- and was seen to approach the window of the shanty carrying a lighted torch. The unterrified ghost hunters immediately charged upon the spectre. The spectre made a bold sprint but stubbed his toe and was captured. 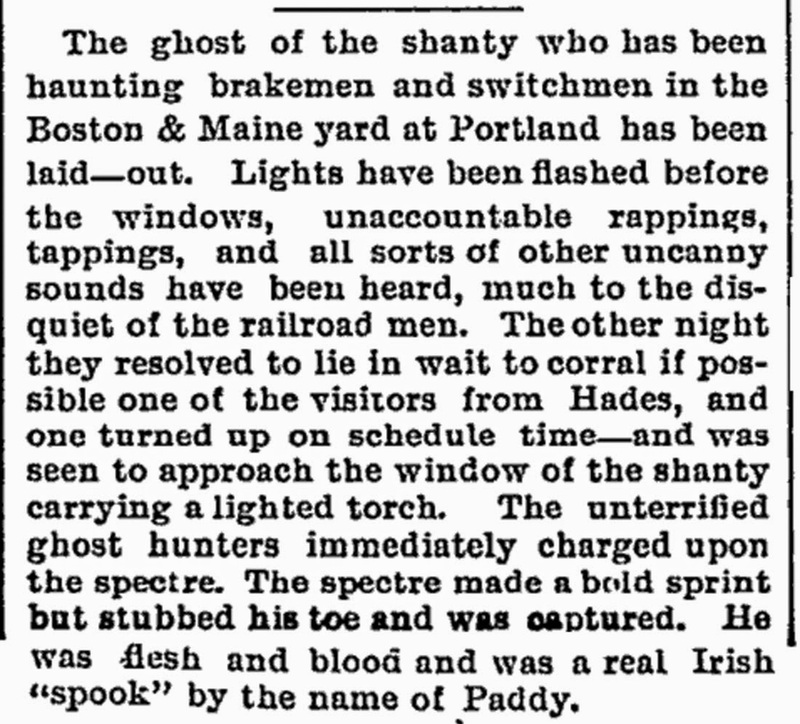 He was flesh and blood and was a real Irish "spook" by the name of Paddy. Pranking it up in the 1890s! I wonder why he went to all that effort, all those nights in a row...?